Hudson Poly Bag manufactures a wide variety of custom polypropylene bags. 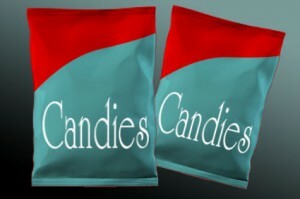 These are flat bags, with or without bottom gussets or lips, plain or custom printed up to four colors. Polypropylene tape seal poly bags are also available in permanent (tamper evident) or resealable styles. Mil thickness are available from .001 to .004, bags can be as small as 2″ x 3″ or as large as 36″ x 38″. Cast polypropylene sheeting is purchased from an outside supplier, and can be procured in a number of grades, from General Purpose to Medical. Homopolymer or random copolymer grades with haze values of 1.5-3.5%, gloss from 75-88, and slip values from none to high are available. It is best to discuss your particular application with us so we may assist you with your choice. Hudson Poly Bag will deliver your bags on time, on spec and on price. We simply do what we say that we will do. Excellent Clarity: Polypropylene has superior clarity compared to LDPE. Clarity LDPE resins typically have a haze value of 5-6%, whereas polypropylene resins have a haze value of 1.5-3.5%. Polypropylene is typically used in applications where maximum clarity is desired, such as candy packaging, greeting cards, art prints, etc. Stiffer, Stronger: Although less dense than LDPE materials, polypropylene’s molecular weight distribution makes the polypropylene bags feel stronger and stiffer in a same mil thickness comparison. Better Moisture Barrier Properties: Polypropylene has better protection properties than LDPE, but slightly less protection than HDPE. The disadvantage with polypropylene is that it is typically produced as a sideweld structure, which has a slight risk of developing pinholes in the seal, defeating the moisture retention properties. Best High Temperature Resistance: Polypropylene does not start to soften until about 270 degrees Fahrenheit, making it suitable for hot filling product and autoclave sterilization. Bag Structure: Unless a company has special equipment, polypropylene is limited to flat bags or bags with bottom gussets. Side gusseted bags requires special bag making equipment (similar to cello bag equipment). Fair Low Temperature Resistance: Polypropylene is not recommended for freezer use, particularly the homopolymer grades. Random copolymer grades are better, but only for consumer freezers.